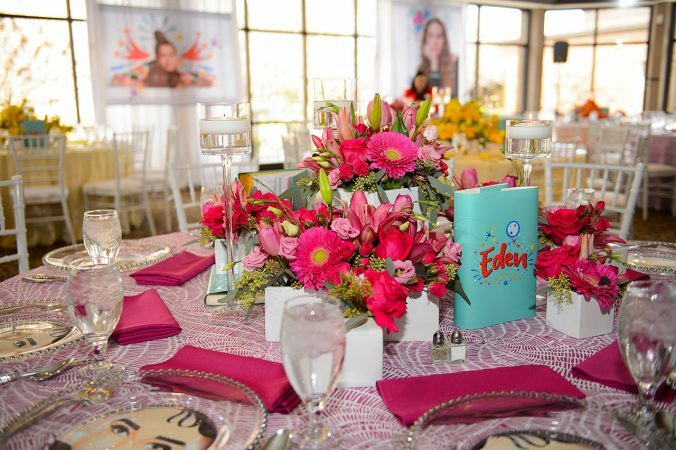 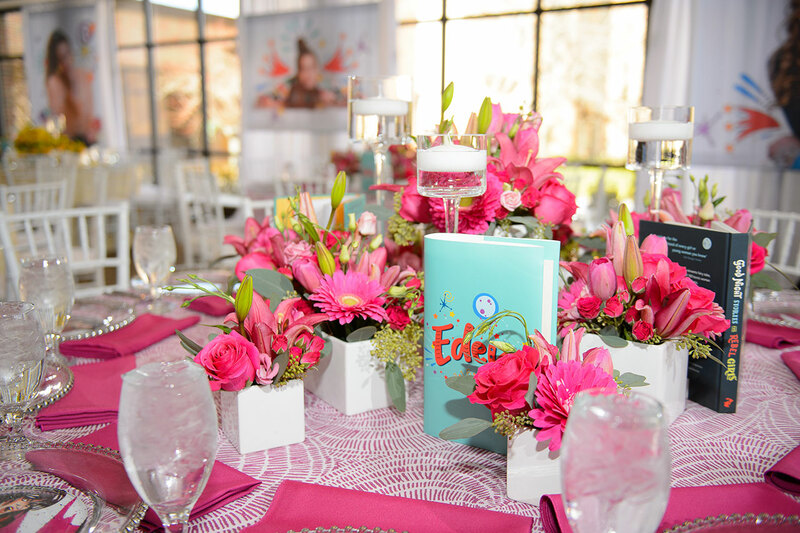 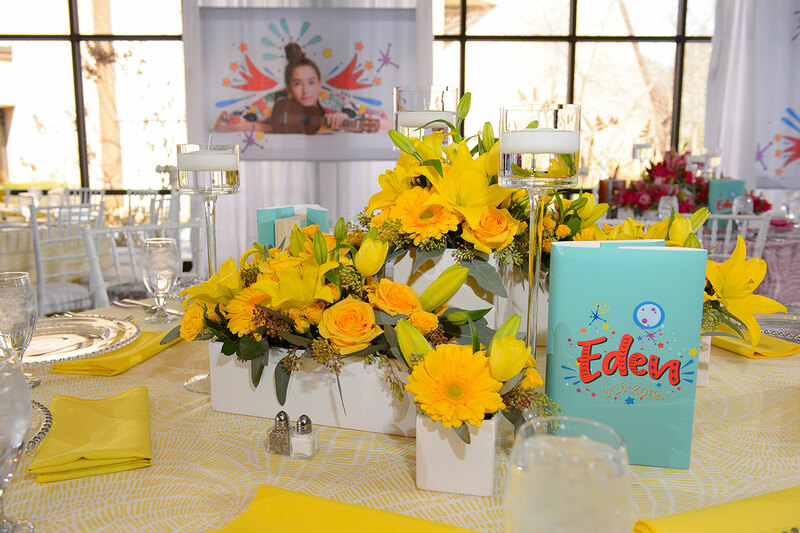 Eden’s Bat Mitzvah was an Extraordinary event held at Temple Israel in West Bloomfield, MI. 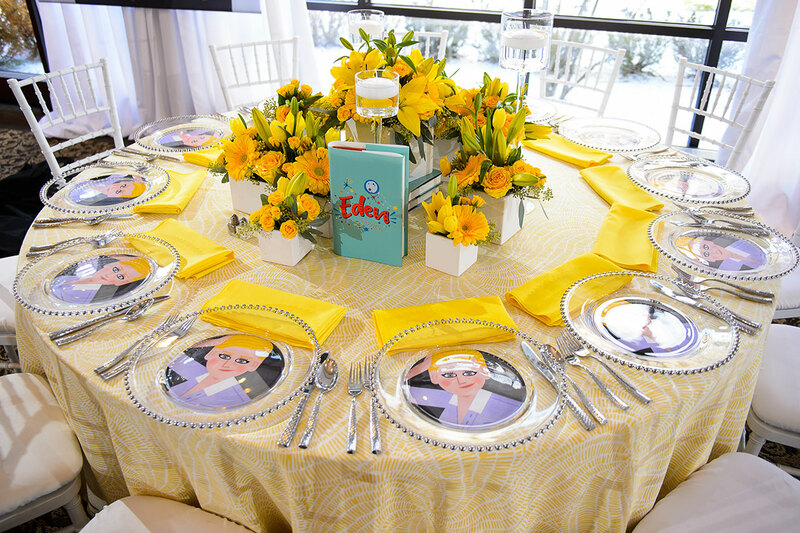 The theme was based on Extraordinary Women and we LOVED it. 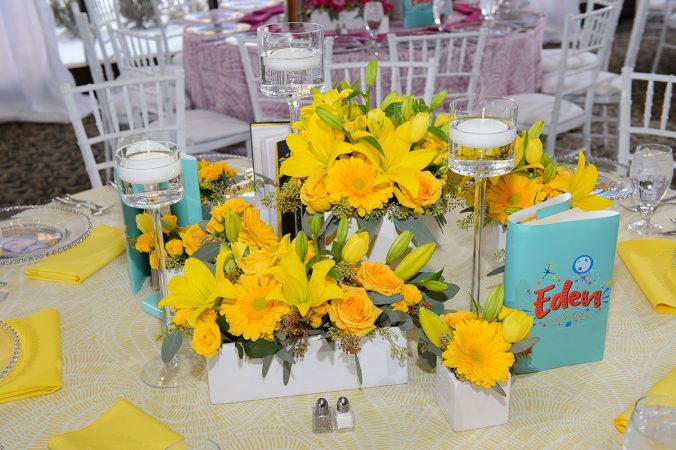 The event was bright and fun. 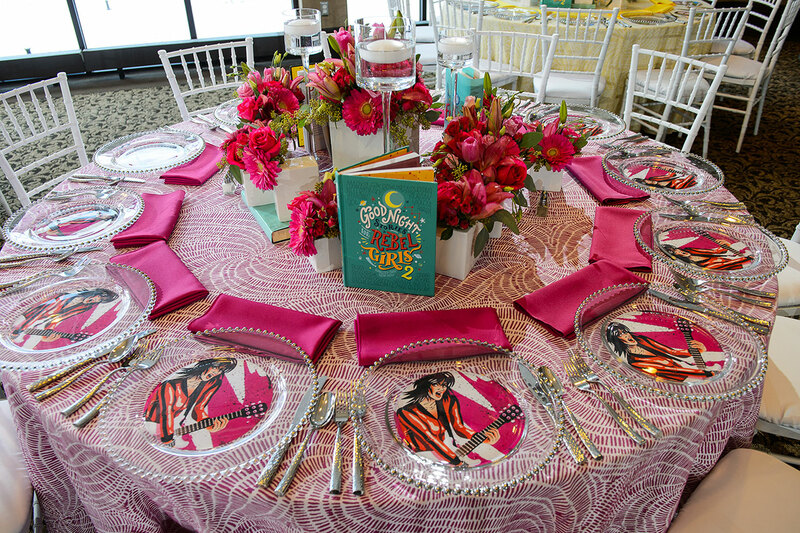 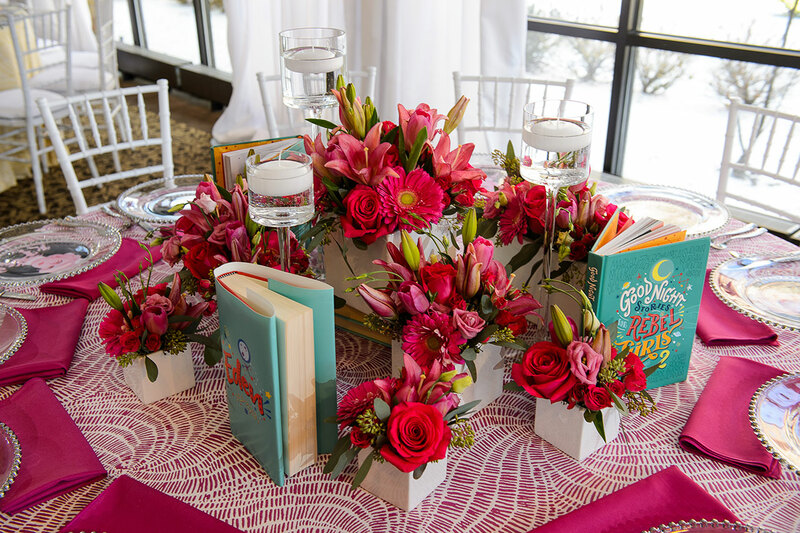 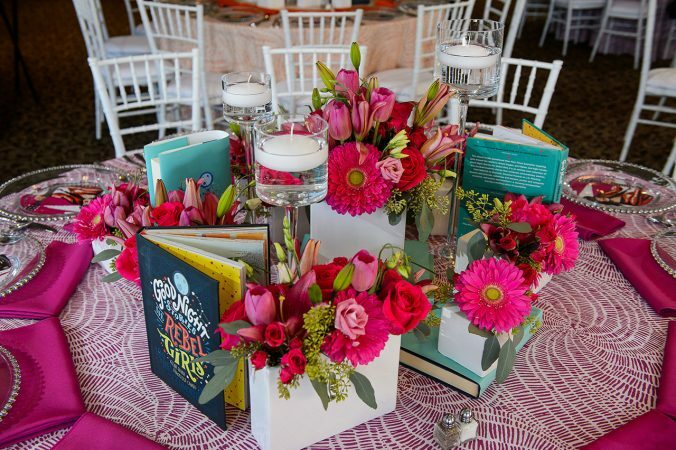 The guest tables used our Tangerine, Magenta and Lemon Yellow Pinwheel Table Linen. 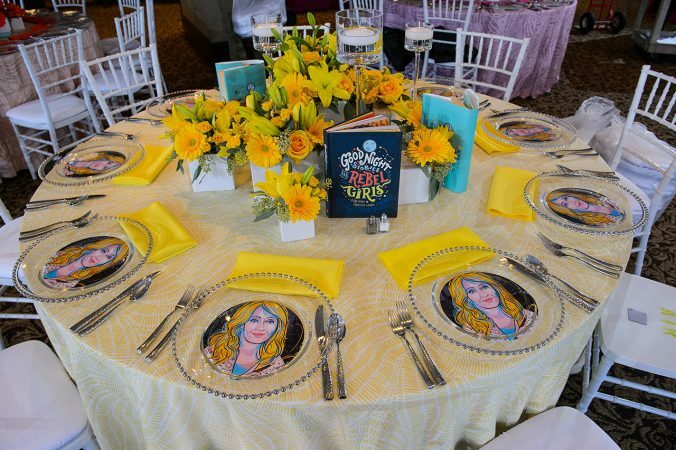 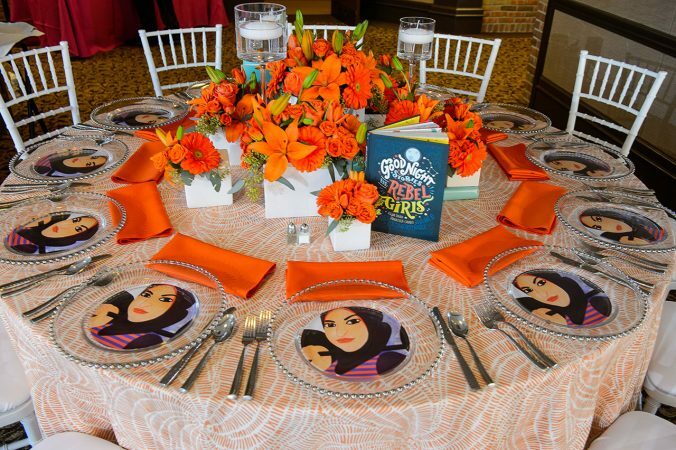 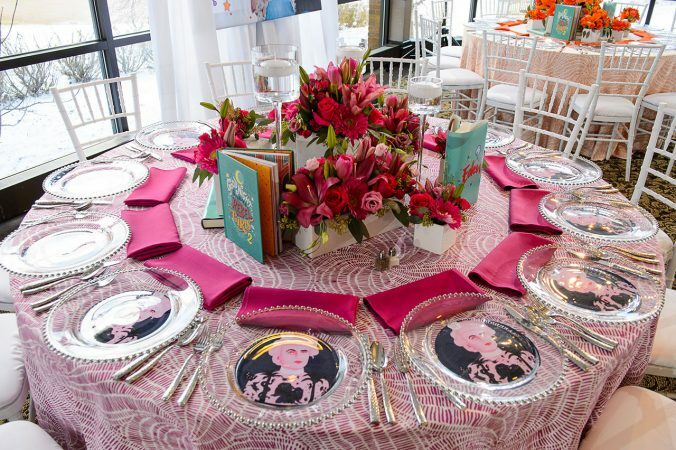 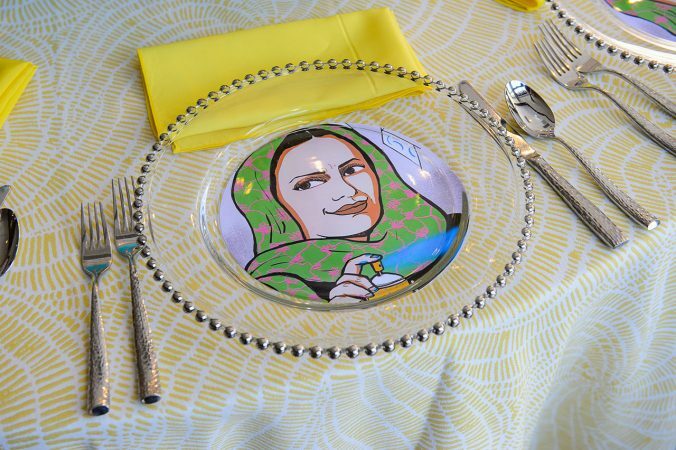 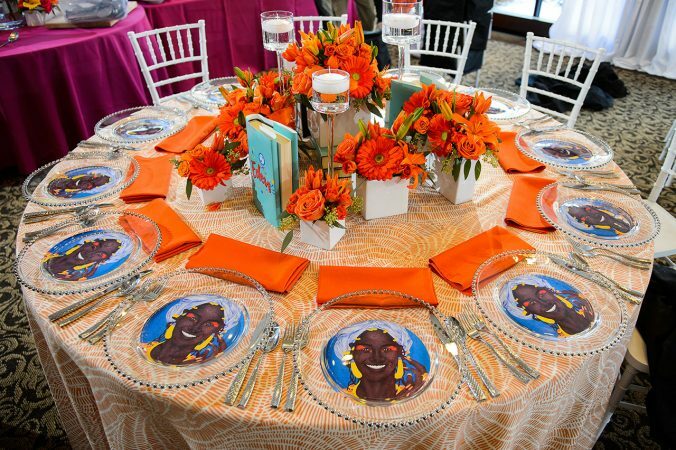 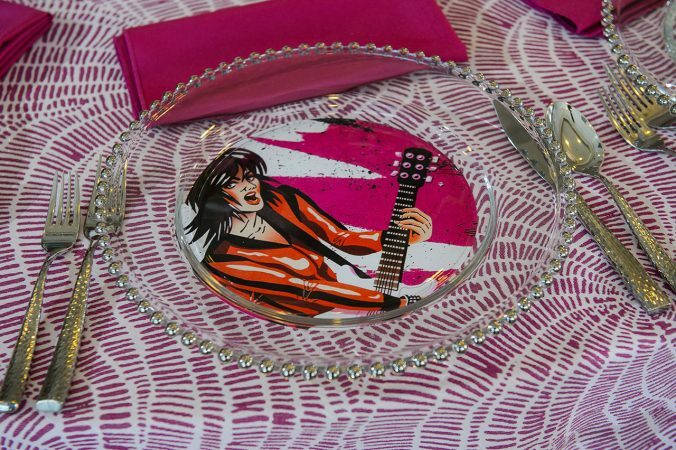 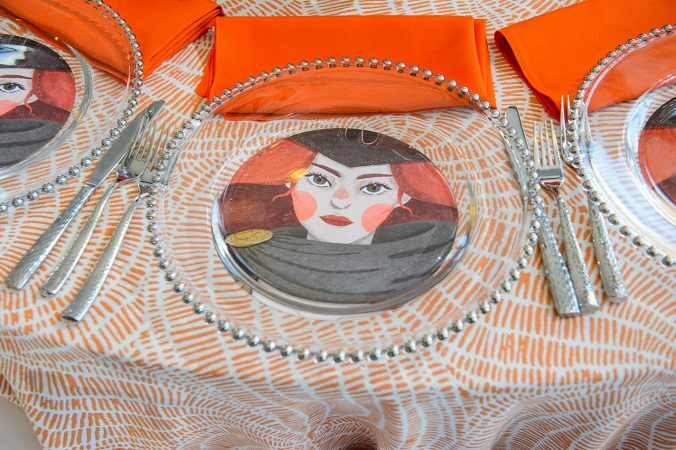 We topped off the table with a Silver Glass Beaded Charger Plate that had images of Extraordinary Women placed under them by Designs by Debbie LeClaire. 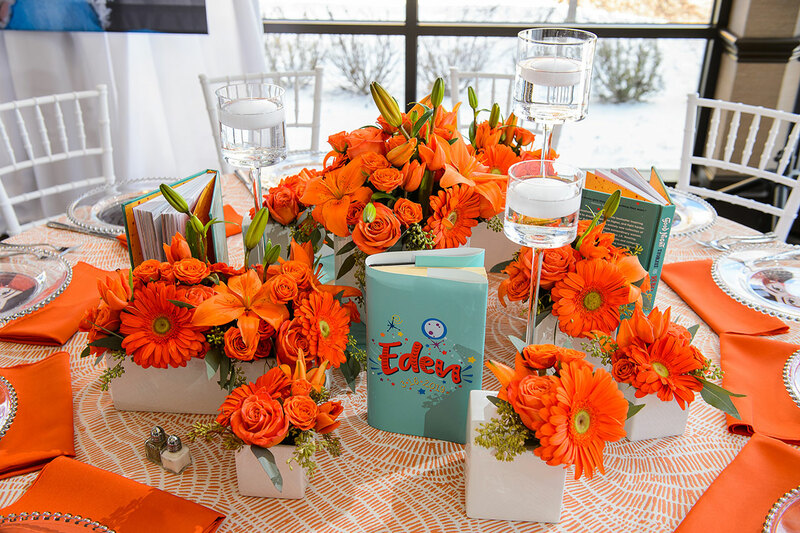 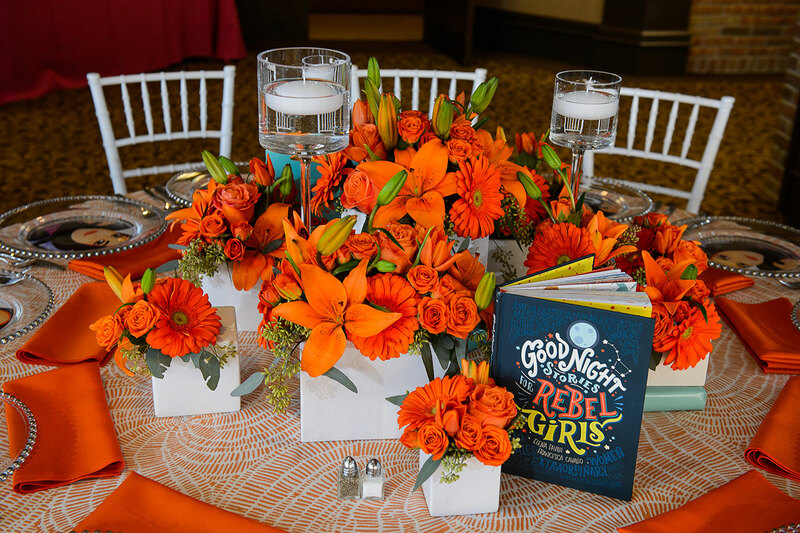 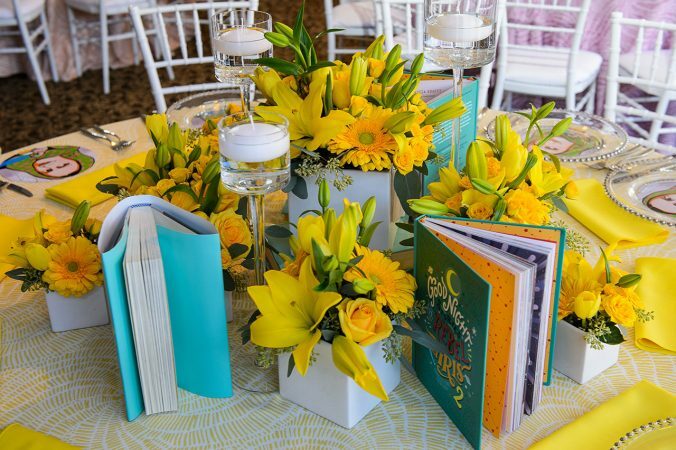 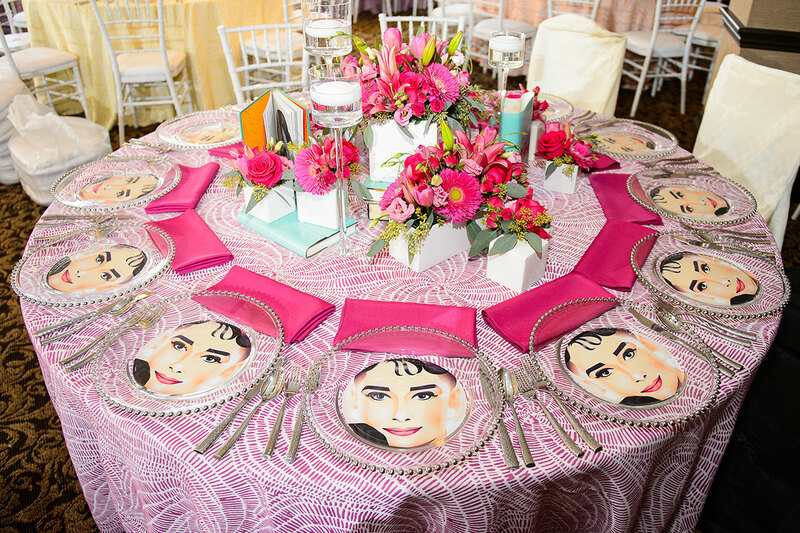 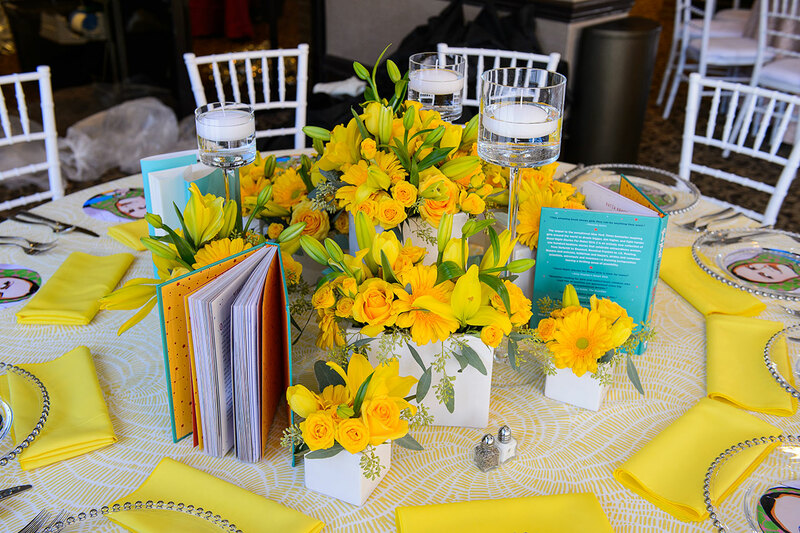 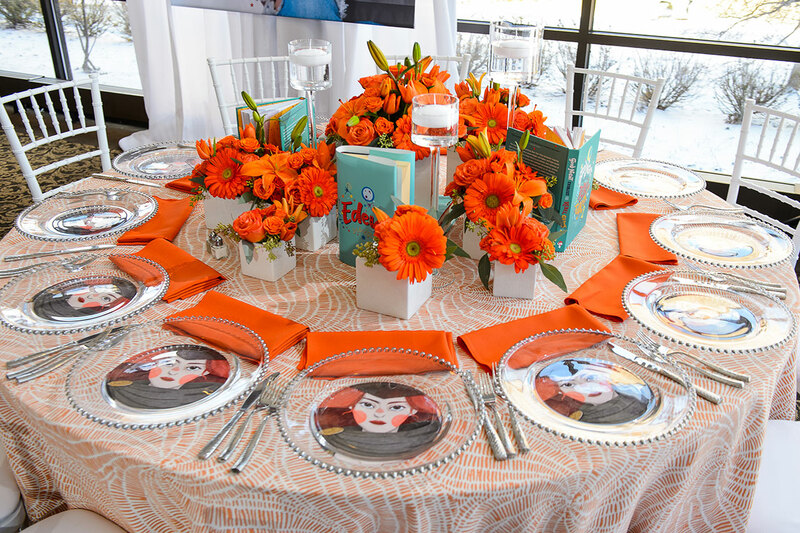 We used our Classic Poly Napkins to add a bright pop of color to the table. To finish off the tables, we used our White Chiavari Chairs with White Pads. We invite you browse the incredible photos from Paul Stoloff Photography.